The national drink of Peru, has become a favourite in London fueled by the rise in the popularity of Peruvian food over the last few year. While Pisco based drinks stretch back to the 1700s, the Pisco Sour was an invention of 1920s Lima. It was first created at Morris’ Bar, a bar owned by an American Barman and a popular haunt of the Peruvian Upper Classes and English-speaking foreigners. Like most drinks its strength is its simplicity. It takes a traditional sour (base of bourbon or some form of whisky, lime or lemon juice and sugar) and lifts it into a drink that somehow evokes the time and place of it’s creation. 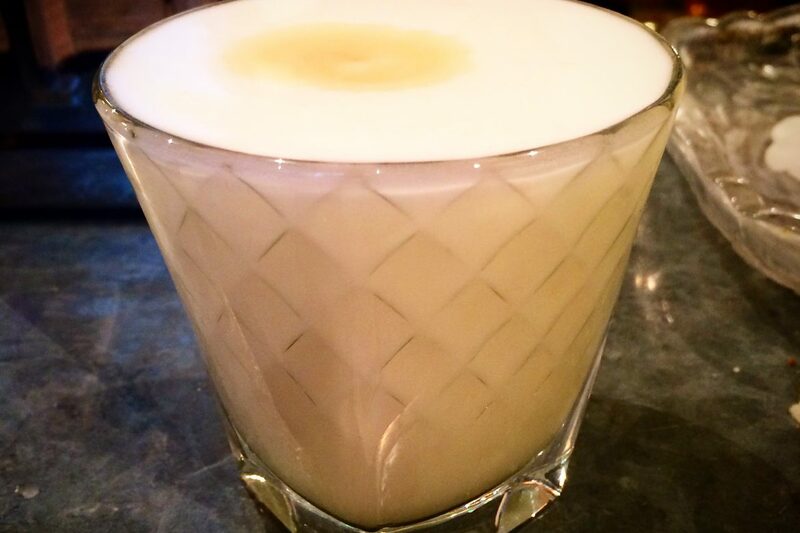 Pisco itself is a Peruvian brandy rather than whiskey, its use of limes also ties it to its founding land as they are so key to Peruvian cuisine, and the egg white and Angostura brings a new dimension to a sour, making it both longer, thirst quenching and aromatic. Half fill a cocktail shaker with ice, then add the Pisco, lime juice, sugar syrup and egg white. Place the lid on and shake well for about 30 seconds or until a decent foam has formed. Pour the contents, through a strainer, into an Old Fashioned glass ensuring a good head of white foam on top. Add a few dashes of bitters and enjoy.